As with any other catchphrase denoting a particular cinematic movement, the ‘Romanian New Wave’ is slippery. In broad strokes, it is a blanket term denoting the majority of contemporary Romanian films welcomed with generous receptions at award ceremonies in Cannes, Berlin and Locarno. It is arguably the most significant development in world cinema over the past years – if European cinema were in the business of handing over best new comer awards every decade or so, this loosely bound collective of Romanian film makers might feel short changed by placing second. There is no manifesto of the Dogme kind to speak of, and yet more often than not there is ample formal rigour, writerly dialogues, bleak sense of humour, and the legacy of a long communist excursion to serve as common denominators. In their austere aesthetic, films by the already more established directors, Corneliu Porumboiu, Cristian Mungiu, and Cristi Puiu nod, perhaps above all else, to the Dardenne brothers’ brand of realism. But this shouldn’t be taken as a strict comparison either; realisms are differently real, and this one is surely distinctive. Since its disputed beginnings, lying anywhere between Puiu’s road movie Stuff and Dough (2001) and Cătălin Mitulescu’s short-film Trafic (2004), and despite its short history, this wave of Romanian cinema has consistently demonstrated an under acknowledged dynamism. If the term remains only partially useful it is also due to conscious efforts at broadening ambitions and avoiding formulaic modes. The following list takes note of the widening territory contemporary Romanian cinema appears set on stretching into, also with the inclusion of a couple original documentaries. A generation or two of film makers has ushered in a very fertile decade for Romanian film. Despite some struggles with state funding bodies and at attracting audiences at home, the wheels have not come off just yet. The relatively young age of most of these directors suggests that there is much more in store. For one, and in line with the wave’s claim to unflinching honesty, Radu Jude’s Aferim!, expected in 2015, promises to bring to the big screen a period piece surrounding the unsavoury reality of 19th century Gypsy slavery. There is no Italian Neorealism without the war, and as perverse as it may sound, there is no Romanian New Wave without a communist past – Andrei Ujica’s documentary takes us to the root of it all. As with his previous Videograms of a Revolution (1992), compiled together with Harun Farocki from amateur footage, news reels, and excerpts from broadcasts transmitted from the rebel held national TV studio in Bucharest during the momentous week of December 1989, Autobiography is entirely made up of archive footage. All of the footage comes from Romania’s National Archive. 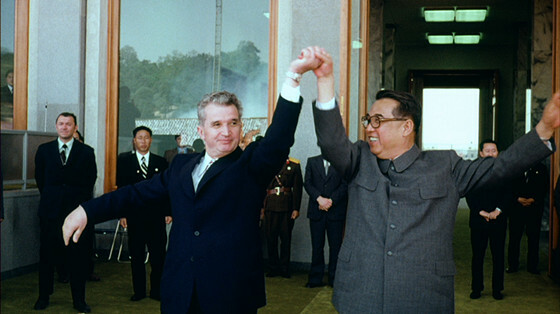 The film documents approximately 25 years of Ceausescu’s life from the moment he comes to power as Romania’s communist leader in 1967 up to his death in 1989. With the exception of the opening sequence documenting Nicolae Ceausescu’s and his wife Elena’s mock trial, minutes before their summary execution, at a military base outside the capital, the communist leader and the regime have staged and approved of it all. Like history, it moves from black and white to colour, and like a dictatorship’s rule, it occasionally slips back into greyscale. Ceausescu walks in the Carpathians, hugs his wife, receives and travels to meet foreign leaders ranging from Richard Nixon to the Queen of England. He lays plans for international socialist cooperation, reshapes Bucharest, visits streets lined with labourers holding placards, and addresses parliament speaking of social inequality and democracy whilst basking in the applause of numerous standing ovations. It is a monumental study in the banality of evil, and the pompous pageantry of political self-styling. Running at three hours in length and with no narration whatsoever, the end result is an impressionistic collage that is nonetheless highly conscious of its poetic rhythms. After the feature length Stuff and Dough and the short film Coffee and Cigarettes (2004), this is Puiu’s second feature and the first in a projected series of six unconventional love stories entitled ‘Six Stories from the Outskirts of Bucharest’ (dedicated to and inspired by Eric Rohmer). Winner of numerous awards including the top prize at Cannes’ sidebar Quinzaine des réalisateurs and present on many American film critics’ top ten lists for the year, this dark comedy is the first film of Romania’s New Wave to gain a more than significant degree of attention abroad. 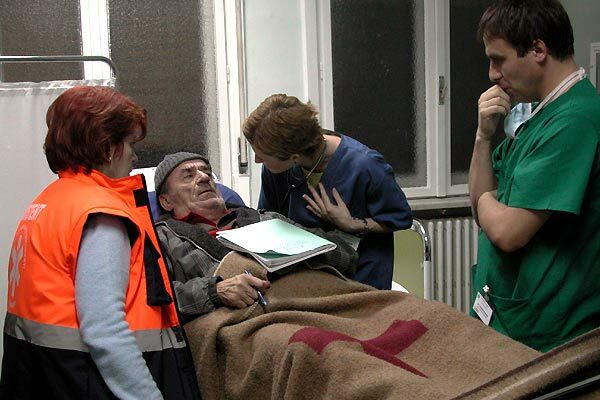 On paper, the film is a commentary on Bucharest’s health care system; it is partly inspired by the real life case of Constanin Nica, 52 by the time of his death in 1997, who after being refused treatment by several hospitals, was left to die on the street by paramedics. The title gives off the ending but it does little to harm the film’s traction. Late in the evening, 63-year-old widower Dante Remus Lazarescu (Ioan Fiscuteanu) whose daughter lives in Toronto has to call for an ambulance more than once. Eventually he is reached by paramedic Mioara (Luminita Gheorghiu) – on the long night leading to his death, meandering from one hospital to another as doctors refuse to keep him, she is the only one to care for him. The sadness is palpable and yet the film’s greatest achievement lies in a tremendous balancing act. Filmed in a quasi-documentary style, suggesting that improvisation is part of the leads’ great performances, the script delivers an array of deadpan comic moments often taking place in background conversations. There is laughter, there is red-tape, the bleak spectre of mortality, and there is much understated human kindness. Recent history has driven home the idea that the first days of revolutionary euphoria are the easy, celebratory part, and that the messy part is yet to come. Radu Muntean’s The Paper Will be Blue suggests that the tragic costs of military confusion will have already left their mark by the twilight hours of the first day and night. The opening scene shows a number of soldiers calmly coming out of an armoured vehicle to smoke a cigarette. Within minutes they are shot down and only by end of the film will it be clear who they were. For its majority the film follows a small unit of soldiers on the first night of the Romanian Revolution, between the 22nd and 23rd December 1989, as they move and are moved from a place to another in the hope of protecting the revolution against “terrorists” thought to be loyal to Ceausescu’s regime. Unsure of who is really in control of the country today and who will be in control tomorrow, and with different factions unsure of who is loyal to whom, the army’s situation is precarious. The atmosphere is chaotic but the tension is often broken by humorously absurd dialogues. One soldier, Costi (Paul Ipate) takes his chances, delves deeper, and joins the civilian insurrection. His commanding officer, the fatherly Lt. Neagu (Adi Carauleanu), spends the night chasing after him in a game of cat and mouse. Obscurity here is also visual. The picture is mostly dimly lit, grainy and the colours are muted. Filmed by handheld cameras, it gives the effect of docudrama and a high sense of naturalism. Scenes set in Bucharest’s TV studio – the film suggests as the real seat of tomorrow’s political power – could have been taken straight out of Ujica’s Videograms of a Revolution. Like its spiritual precursor, Muntean’s film quietly turns its lens on the confusing parts history glosses over. Florin Serban’s debut feature film merits a name on this list not least for its daring courage. Many of the films of the new wave invest significantly in heightened realism but little to none have entrusted their leading role in the hands of an untrained actor. The film is set in a juvenile detention centre in rural Romania and 18-year-old Silviu (George Piştereanu) is two weeks away from walking out after serving a 4-year sentence for robbery. The guards are unforgiving and the rest of the inmates, who with the exception of Piştereanu are playing alternate versions of their real life selves behind bars, are jealous. He learns that his mother is planning to move to Italy and take his younger brother with her. Silviu immediately finds the news vaguely disconcerting and simmers with unease. It will not end pleasantly. The screenplay is adapted from a theatre play of the same name penned by Andrea Vălean. By the end of the film the title remains elusive. It is a harsh and sad story in which Serban does not shy away from class difference and the violence inhering within it. The film was awarded the Silver Bear and Alfred Bauer prize at the 60th Berlin International Film Festival. Catalin Mitulescu’s short film Trafic (2004) was one of the first Romanian productions to be prized in Cannes. His feature follow-up is a bittersweet and gentle story which follows a family’s aspirations up to, and just after, the fall of the dictatorship. 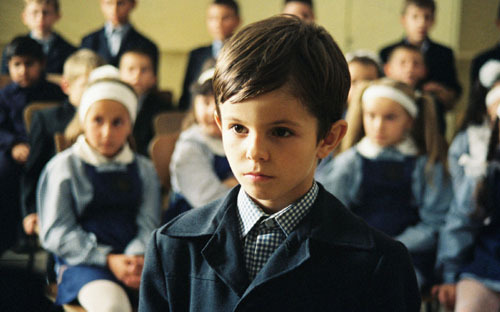 Even though the downfall of the regime may be an unsurprising backdrop, it celebrates an innocence that is hard to come by in this family of Romanian movies. At the heart of the Matei family are adolescent Eva (Doroteea Petre) and her 7-year-old brother Lalalilu (Timotei Duma). Despite his young age, ‘Lali’, as his sister likes to call him, can’t help thinking of Ceausescu. The opening scene has him anxiously dreaming of meeting the Communist leader and receiving his approval, he will soon be falling out of love. On a school day, Eva’s boyfriend accidentally breaks a bust of the Ceausescu. She is found guilty, ardently refuses to apologize and is sent to a trade school. Fearing that the dictator is the reason behind his sister’s increasing desire to leave the country, young Lali starts to devise a plan to kill him. History encroaches upon the personal at every turn, but Mitulescu’s film is hardly set on accentuating this somewhat tragic set of circumstances. It warmly embraces the universally accessible values of the uncompromising and independent spirit in the face of adversity. The second tale from the projected ‘Six Stories from the Outskirts of Bucharest’ sees Puiu taking the central role also in front of the camera. It’s a three hour long muted drama which demands patience and explains little, but the payoff coming in its final scene is a confident and admirable stroke of cinematic mastery. The film is composed of long takes and some impressively choreographed scenes, all of which are set in domestic settings. Puiu plays the enigmatic Voirel, a metallurgical engineer working on an industrial plant. In one of the first scenes he is seen walking in one direction and suddenly turning round. It is a subtle indication of the mixture of insecurity and decisiveness that characterise him. He moves and reacts slowly, his face completely expressionless. As the movie progresses through 24 hours of uncommon existence he repeatedly takes a dry and sarcastic tone with people who have for some slight reason exhausted his patience. Considering he owns a gun, these are rather disturbing moments and yet there is a hint of humour coming from the ignorance of his own absurdity. Puiu’s screenplay is economic with its dialogues; Voirel doesn’t seem too keen on talking unless it is somewhat necessary. With the exception of reassuring pop music coming from the radio, music is also largely missing. Despite the scarcity of his words Voirel is one of Wave’s most memorable protagonists. When he finally opens up, Puiu’s film provokes moral questioning, laughter and sadness in one and the same breath. Albeit a running time of 45 minutes, length is perhaps the least odd element characterising Christian Nemescu’s little film. Marilena from P7 is by far the most experimental creation of Romania’s new wave. The influences are many and the imagery eclectic (try spot a framed print of a Dali painting hanging above an Elvis imitator in a dingy bar) yet it can still deliver a heavy emotional punch. Marilena (Mădălina Ghiţescu) is a young prostitute living on a housing block in one of Bucharest’s grimmest neighbourhoods. Every afternoon she joins the other girls outside the building whilst their pimp ushers them one by one into different cars. Andrei, played by untrained actor Gabriel Huian, is thirteen and deeply infatuated. He hangs out with his friends on the roof of an opposite block trying to smoke cigarettes, gazing and desiring. At home he masturbates like there’s no tomorrow. To get girls, his uncle tells him, you need a house, money, and a car – he will try to do just that. In a teenager’s infatuation for an older prostitute, there is something of Giuseppe Tornatore’s Malena (2000), but this hardly a traditionally realist film. There are surreal dream sequences, one directly hinting at Spielberg’s Close Encounters of the Third Kind (1977), a gentle touch of magical realism, and something of Fellini’s later grotesque. Nemescu also experiments with split screens, at times providing some comic relief. The actual reflection on the surreal that Marilena produces is that it lies in the mundane, particularly in a young man’s steady and naive journey into adulthood and all of the emotional blows it can bring with it. For its medium length, this coming-of-age story packs in a lot. It is a cautionary tale on the costs of wanting to grow up too quickly; as it is in our life time, by the time Andrei can take account of them, it has by necessity been too late.